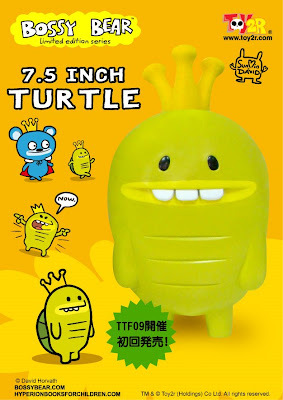 A TTF launch exclusive comes from David Horvath - the 7.5" Turtle with Crown figure makes it debut at the convention. From the pages of Horvath's children's book - Just like Bossy Bear comes a friend for life. Perfect for anyone who purchased the 12" Bossy Bear - now these two can rule to roost! 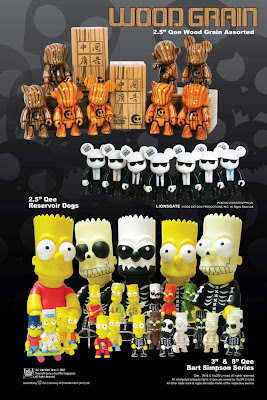 Don't miss out on the previously announces David Horvath items also available at the show - Launch of the Just Like Bossy Bear Assortment, Lemony Fresh Edition and much more!!! Designed by Daivd Horvath, the best friend of Bossy Bear. 3.5 inch vs 7.5 inch Turtle. 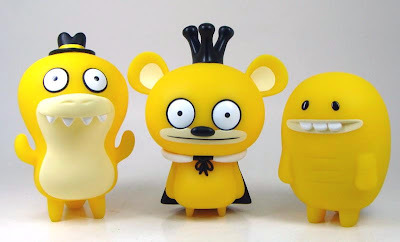 From the design group known as Brothersworker - William Tsang has collaborated with TOY2R to launch the newest QEE - Leo! 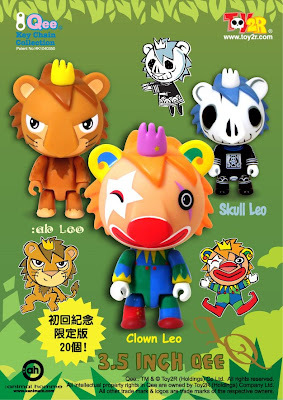 Available in three different versions (Ah Leo, Clown Leo and Skull Leo) utilizing the classic 2.5" Qee platform, the Leo Qee features a newly sculpted head just for this launch and as always - includes the Qee Keychain attachment. SRP - NTD$600 / US$19 - Note that only 20 pieces of each will be available (Prototype Production Edition). 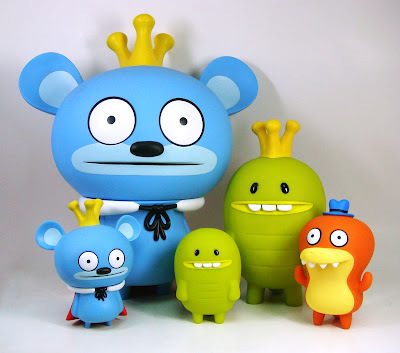 This marks the second Brothersworker member to collaborate with TOY2R - First was Kenny Wong creating the Molly Qee. The Selfridges located on Oxford Street in London, This Superstore opened their Designer Toy Lounge. 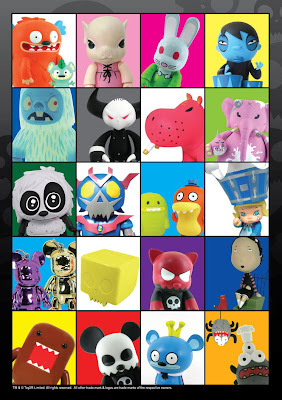 They are carrying Toy2R brand and orthers such as Momiki, Kid Robot, Ugly Dolls, Mimobots, Blik Wall Graphics and STRANGEco with everything adding up to about three hundred products. 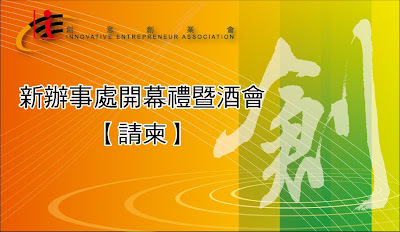 We are pleased to let you know that Innovative Entrepreneur Association has now got a new office in the tower of Hong Kong Productivity Council at Kowloon Tong. 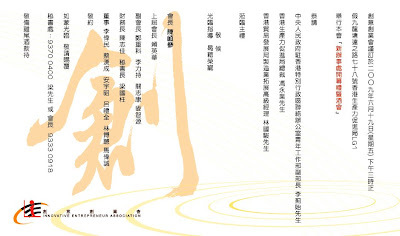 The facilities and infrastructure of HKPC are well organized and our board of directors would certainly perform much efficiently serving the people of Hong Kong and pushing for more entrepreneurship.